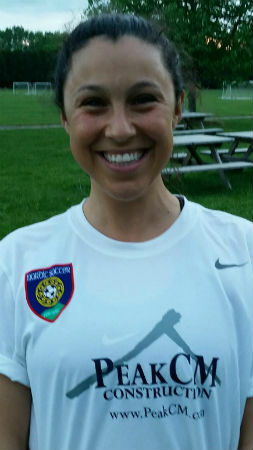 Emma's "real" job is a Spanish teacher at Colchester High School, where she also coaches girls soccer. Emma played Club Soccer for Nordic, High School soccer at MMU (State Champs 2003) and College Soccer at Bates College, where they went to the NCAA tournament in 2005. This is her 4th year coaching Nordic. Outside of soccer she loves to hike, salsa dance, ski, cook and travel. Fun Fact - Emma works with a nonprofit that helps rebuild schools in Uganda.